BLACK is world Yo-Yo champion. But his show is not only the show has world's best technic. His show is the condensation of his life, reach to the best and chase more for the future. World's No.1 technic is just a method to express for him. His show, turned just a toy into the performing arts evokes overcome lots of difficulties and impress people. "The passion makes impossible possible"
BLACK' show provide you the experience watch and feel this message. Now a days, "Story Telling" is one of the most important method to express message effectovery. Story makes empathy and impress audience. BLACK does story telling by the Yo-Yo. As a spokes person, BLACK talk your message and product features through the story. And perform to express that story. The story not only can be listened but also can be watched attracts people's attention and impress people to let them remember stronger. BLACK performs with Japanese costume and Japanese music. 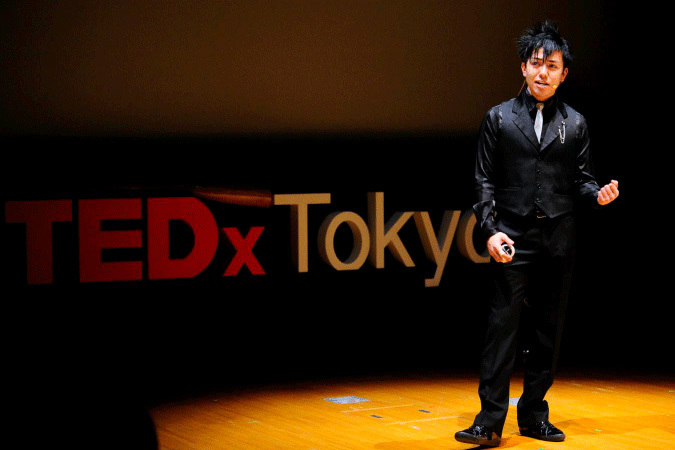 The world's only performance includes Japanese Samurai soul impressed audience at TED conference and won one of the biggest standing ovations. The performance in front of the movie projected to the screen or the display. 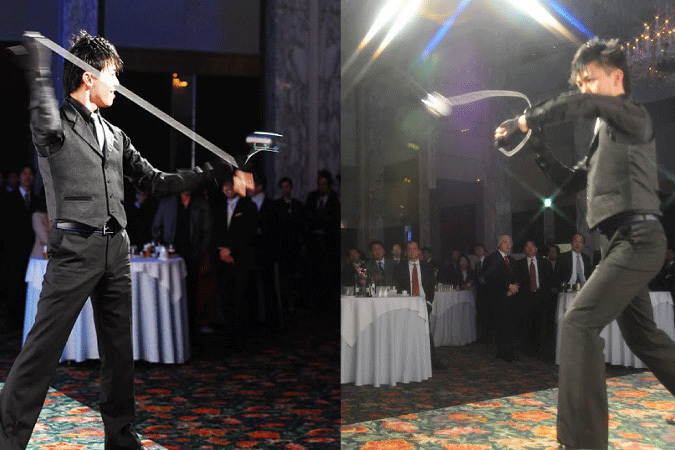 Not only syncronization with the movie and the performance, but also music, lighting of the Yo-Yo and everything by the programmable LED Yo-Yo "7-Magic". Free movie representation and unrealistic Yo-Yo technique. Not only in the screen but also in the real world light comes out, dancing, fascinating audience. According to the request, we can also customizedthe movie (incorporate corporate logo and product image etc). Popular style for an anniversary, an award party or a ceremony. BLACK 's career such as "World Champion" "Cirque du Soleil appearance" is popular to add the grace to the event and make attendees delighted. There are many special tricks to add the excitement like Flicking a coin off a person's ear with the Yo-Yo and his signature trick, the tablecloth trick with the Yo-Yo. Stage direction or technique lessons are welcome too. Copyright © Yo-Yo Performer BLACK All Rights Reserved.